UPVC doors are great when your thinking of replacing your front door as there are literally thousands of door style and glazing combinations to suit any taste and style. All our UPVC doors are all made to measure for each customer ensuring not only a perfect fit, but excellent weather protection properties and thermal protection. 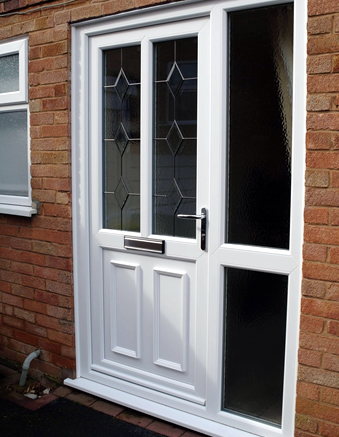 We can supply and fit high quality UPVC doors throughout Stafford which are great looking, hardwearing very secure. Why not browse our entire collection of composite doors before you call and with the measurements we can give you a quick price over the phone.